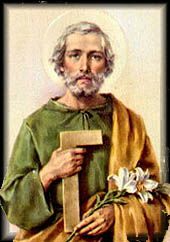 Dear Saint Joseph, you were yourself once faced with the responsibility of providing the necessities of life for Jesus and Mary. Look down with fatherly compassion upon me in my anxiety over my present inability to support my family. Please help me to find gainful employment very soon, so that this heavy burden of concern will be lifted from my heart and that I am soon able to provide for those whom God has entrusted to my care. Help us to guard against bitterness and discouragement, so that we may emerge from this trial spiritually enriched and with even greater blessings from God. Amen.